How does a driverless car learn how to drive? But how does a driverless car learn how to drive, especially when something goes wrong? That’s the question being asked of Uber after last month’s crash in Arizona. Two of its engineers were inside when one of its autonomous vehicles spun 180 degrees and flipped onto its side. Uber pulled its test fleet off the road pending police enquiries, and a few days later the vehicles were back on the road. The Tempe Police Department’s report on the investigation into the crash, obtained by the EE Times, details what happened. The report says that the Uber Volvo (red in the graphic below) was moving south at 38mph (61kmh) in a 40mph (64kmh) zone when it collided with the Honda (blue in the graphic) turning west into a side street (point 1). 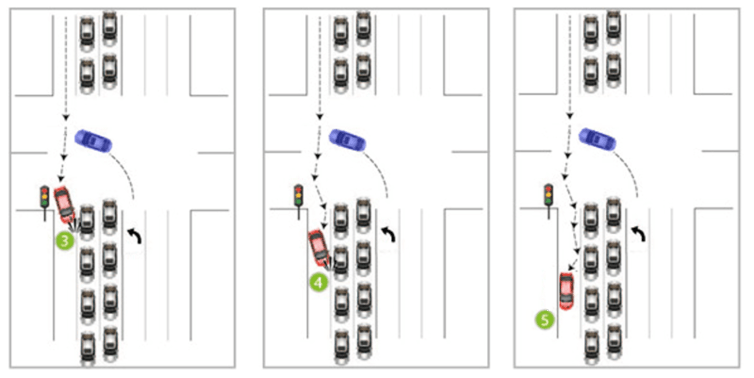 Knocked off course, the Uber Volvo hit the traffic light at the corner (point 2) and then spun and flipped, damaging two other vehicles (points 3 and 4) before sliding to a stop on its side (point 5). Thankfully, no one was hurt. The police determined that the Honda driver “failed to yield” (give way) and issued a ticket. The Uber car was not at fault. It is totally careless and stupid to proceed at 38mph through a blind intersection. Demler said that Uber needs to explain why its vehicle proceeded through the intersection at just under the speed limit when it could “see” that traffic had come to a stop in the middle and leftmost lanes. The EE Times report said that Uber had “fallen silent” on the incident. But as Uber uses “deep learning” to control its autonomous cars, it’s not clear that Uber could answer Demler’s query even if it wanted to. In deep learning, the actual code that would make the decision not to slow down would be a complex state in a neural network, not a line of code prescribing a simple rule like “if vision is obstructed at intersection, slow down”. The case raises a deep technical issue. How do you debug an autonomous vehicle control system that is based on deep learning? How do you reduce the risk of autonomous cars getting smashed and flipped when humans driving alongside them make bad judgements? Demler’s point is that the Uber car had not “learned” to slow down as a prudent precautionary measure at an intersection with obstructed lines of sight. Most human drivers would naturally beware and slow down when approaching an intersection with obstructed vision due to stationary cars. When it comes to deep reinforcement learning, this relies on “value functions” to evaluate states that result from the application of policies. A value function is a number that evaluates a state. In chess, a strong opening move by white such as pawn e7 to e5 attracts a high value. A weak opening such as pawn a2 to a3 attracts a low one. The value function can be like “ouch” for computers. Reinforcement learning gets its name from positive and negative reinforcement in psychology. Until the Uber vehicle hits something and the value function of the deep learning records the digital equivalent of “following that policy led to a bad state - on side, smashed up and facing wrong way - ouch!” the Uber control system might not quantify the risk appropriately. Having now hit something it will, hopefully, have learned its lesson at the school of hard knocks. In future, Uber cars should do better at similar intersections with similar traffic conditions. An alternative to deep learning is autonomous vehicles using explicitly stated rules expressed in formal logic. 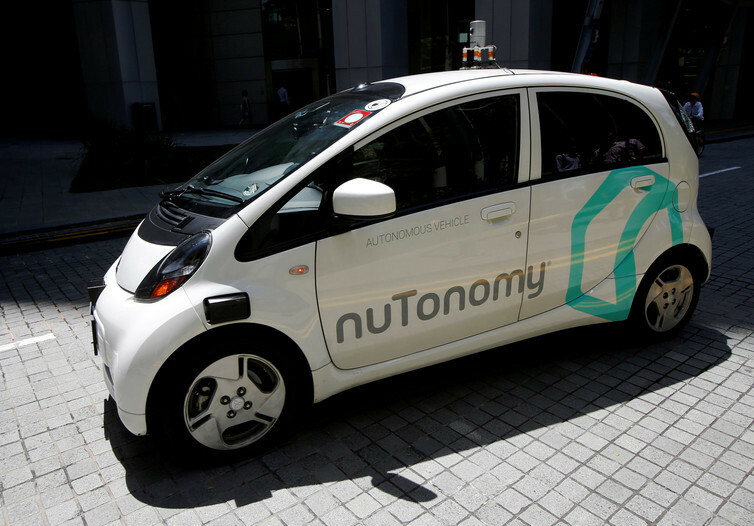 This is being developed by nuTonomy, which is running an autonomous taxi pilot in cooperation with authorities in Singapore. NuTonomy’s approach to controlling autonomous vehicles is based on a rules hierarchy. Top priority goes to rules such as “don’t hit pedestrians”, followed by “don’t hit other vehicles” and “don’t hit objects”. Rules such as “maintain speed when safe” and “don’t cross the centreline” get a lower priority, while rules such as “give a comfortable ride” are the first to be broken when an emergency arises. While NuTonomy does use machine learning for many things, it does not use it for normative control: deciding what a car ought to do. In October last year, a NuTonomy test vehicle accident was involved in an accident: a low-speed tap resulting in a dent, not a spin and flip. What you want is to be able to go back and say, “Did our car do the right thing in that situation, and if it didn’t, why didn’t it make the right decision?” With formal logic, it’s very easy. Key advantages of formal logic are provable correctness and relative ease of debugging. Debugging machine learning is trickier. On the other hand, with machine learning, you do not need to code complex hierarchies of rules. Time will tell which is the better approach to driving lessons for driverless cars. For now, both systems still have much to learn.